The San Pedro Police Department has registered a total of six murders since the beginning of 2016. With the official police statistics being released last week, the murder rate in Ambergris Caye has seen a rise compared to last year. In 2015, a total of eight murders were recorded for the entire year. Deputy of the Belize Police Department Coastal Executive Unit Henry Jemmott shared some updates on the cases that remain unsolved. The first murder of 2016 happened on Saturday, January 16th. Uribio was fatally injured during a drunken fight with 48-year-old Jose Alfredo Villeda, which occurred inside an apartment room at the entrance of the San Pedrito Area. Uribio was seen suffering from a large stab wound to the left side of his neck and left arm, and was transported to the Dr. Otto Rodriguez San Pedro Polyclinic II. The wounds caused a substantial amount of blood loss that led to Uribio’s death. His death was eventually ruled manslaughter as he was killed during a drunken brawl, and no charges were laid on Villeda, who inflicted the deadly blow. 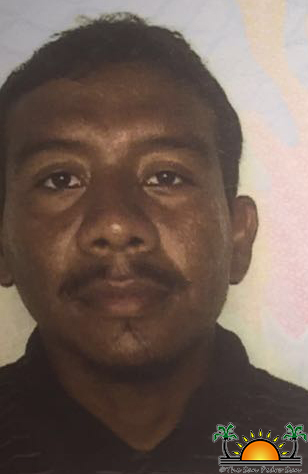 On Tuesday, February 16th, 22-year-old Barrios, a Honduran national, was killed during an alleged aggravated burglary incident in the Boca Del Rio Area. She sustained a single cut wound to the neck and was immediately taken to the Dr. Otto Rodriguez San Pedro Polyclinic II, where she was pronounced dead shortly after arrival. There are still no leads regarding her attacker, and police ask that anyone with information that can assist in solving the murder of Johana Samantha Mendez Barrios to please call Crime Stoppers Belize at 0-800-922 TIPS (8477). On Tuesday, February 23rd, Frank Edwards Jr, a 27-year-old fisherman of the San Mateo area was found lying in a white 16 foot skiff with multiple gunshots to his chest, stomach, neck and face. His body was transferred to the Dr. Otto Rodriguez San Pedro Polyclinic II where he was pronounced dead upon arrival. Since Edwards was no stranger to police, his murder was suspected to be in retaliation over the murder of two-year-old Charlie Daniel “Danny” Espat who was shot to death while sleeping at his home in San Pedrito Area on February 24, 2015. With no leads, the police have yet to make an arrest, and the case remains unresolved. On Sunday, March 6th, 34-year-old Catzim engaged in a domestic dispute, and was stabbed by his wife, 45-year-old Alida Lily Borrayo Barrientos de Catzim. Catzim’s death was ruled as a result of domestic abuse and Barrientos de Catzim was released of charges, as her actions were considered self-defense. Edwin Ixpatac was a 30-year old San Pedro bartender who died on Monday, March 7th after being on life support for three days at the Karl Heusner Memorial Hospital in Belize City. Police reports state that Ixpatac had sustained injuries when he was detained by police on Thursday, March 3rd. As a result, three San Pedro Police officers, PC Jahisir Cob, PC Rommel Logan, and PC Reydel Teck were detained, while Sergeant Raymond Berry was put on interdiction. After a complete investigation, the four San Pedro police officers were prosecuted, officially charged for brutality, and now possibly face being charged with manslaughter. According to Jemmott, the trial is still ongoing and the police officers have not had their first court appearance. The San Pedro Sun will follow up on this matter. 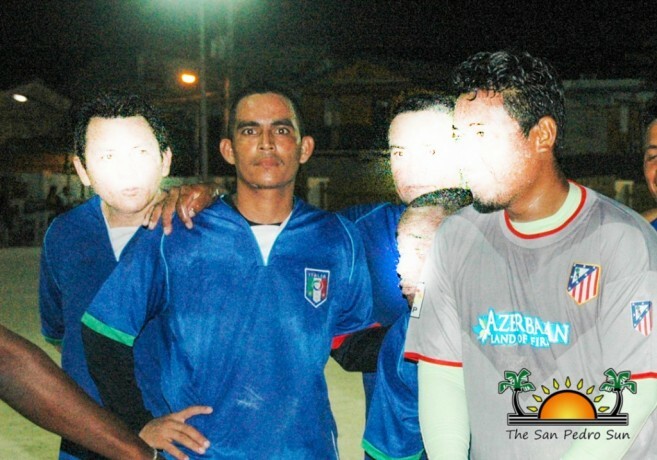 On Friday May 6th, Melvin Almendarez, a 31-year-old local athlete was killed and his body was found in the Mosquito Coast Area of South Ambergris Caye shortly after 10PM with a single gunshot wound to the head. 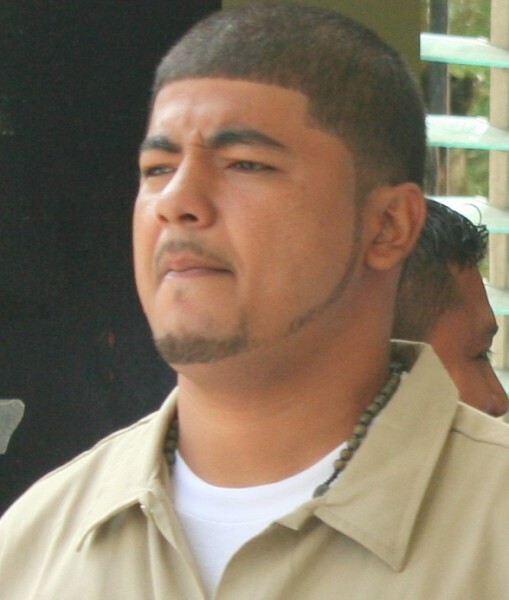 Canadian National Jordan Bacchus was detained as the primary person of interest in connection to Almendarez’s murder. He was also found in possession of marijuana, and since he was not charged with murder before the investigation was completed, he was charged with Possession of Controlled Drugs. He pleaded guilty and was later released on bail. After his release, Bacchus has not been seen in San Pedro, despite SPPD holding all of his travel documents. Notices have been issued to all port of entries/exits within the country and the Canadian Consulate in the country. 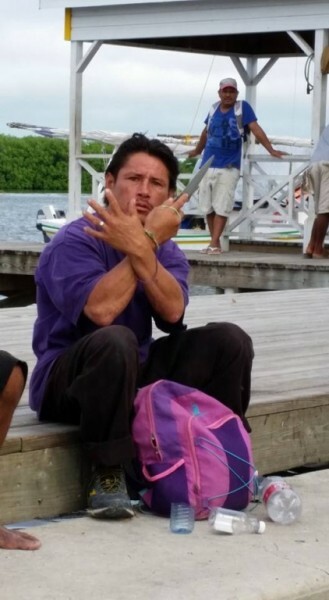 According to Jemmott, the police department recently made some searches in Caye Caulker. After their search, information was sent to Interpol, including a copy of his warrant. The police continue their efforts in locating Bacchus and are asking the general public for their assistance. Anyone who may have information on his location should contact their nearest police station. In Ambergris Caye, the police station can be visited on Pescador Drive or contact at 206-2022. The public is reminded that information regarding any crime can be reported anonymously to Crime Stoppers Belize at 0-800-922 TIPS (8477).